One thing, possibly the only thing, I found new and exciting in ChromiumOS (which I posted about here) was the way you could pin tabs to get permanent, favicon-marked, small launcher tabs for your favorite apps right on the browser. I think they're even more convenient than Opera's speeddial in that you don't have to open a new page just to choose your app. OTOH, they're really not a lot different from the bookmarks in Chrome's bookmark bar but they do look nicer. Anyway, as I don't use Windows, I was unaware that these pinned tabs are available in the Windows version of Chrome although they are not permanent as they are in ChromiumOS. Unfortunately they are not at all available in either the Linux or the Mac OS X versions of Chrome. 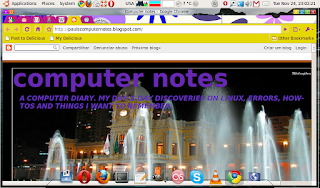 Then I found this Lifehacker article which explains how to make these pinned tabs permanent in Windows. 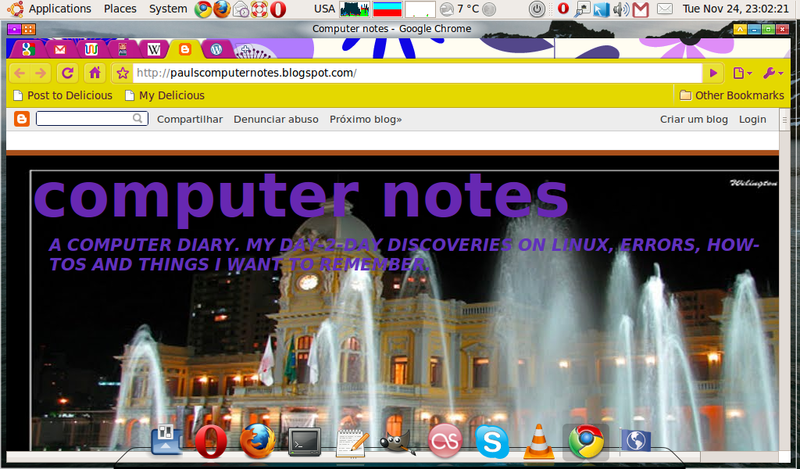 So, I did the same thing in Ubuntu Karmic on my EeePC 901 and now I have 7 permanent pinned tabs in Chrome. They work well and bring up the page immediately although it does mean that these 7 pages are permanently open. However, they really don't consume a lot of memory. Another consequence, however, is that Chrome takes 30 seconds to open. To get the AWN icon set up to start with the 7 pinned tabs, I opened Applications>>Internet and right-clicked on Google Chrome and chose Add this launcher to Panel. Haven't figured out how to get this to work in OS X on my MacBook yet, though.